I have just started reading your website. Thank you so much—it is so beautiful and informative. I am an art historian and have given many presentations BUT I have yet to visit Monet’s house and garden at Giverny. I know everyone asks you this. 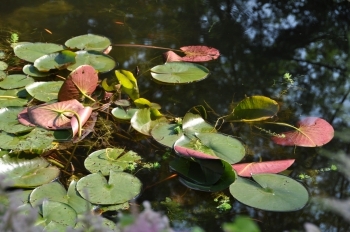 When do the water lilies generally bloom? Maybe there is not an easy answer…. Water lilies are summer flowers. They start blooming in May, the best time is June, July and August, there are less in September and the very last ones in October.